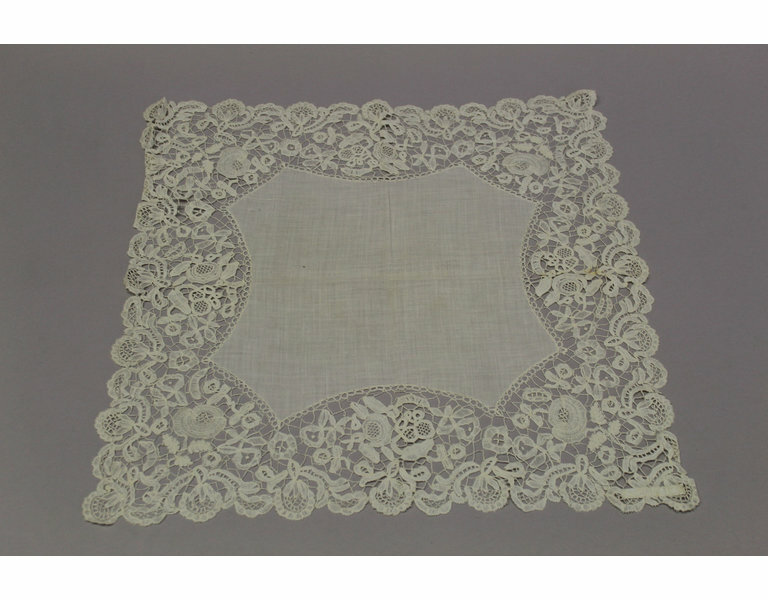 Muslin handkerchief with a broad border of Honiton Guipure lace. In each corner there is a formalised rose with three leaves. The rest of the border is filled with formal flowers and leaves symmetrically arranged. 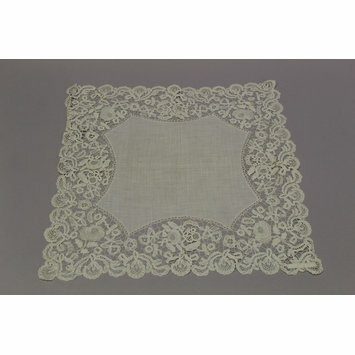 Each side of the handkerchief has the same design. There is also a border all round the edge of formal semi-circular flowers and leaves. 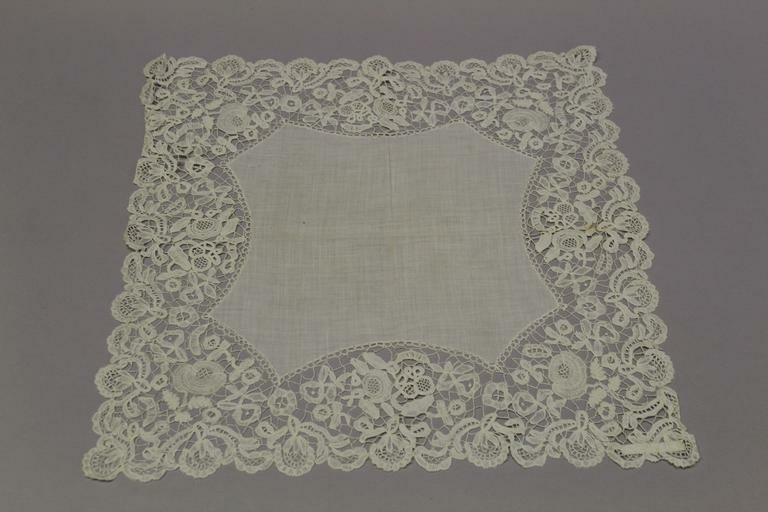 Lace trimmed handkerchief, Honiton, England, 19th century.